Edna brought some hunky friends to play along with this challenge...hopefully you will be able to look away from the eye candy (I'm having some difficulty myself...hellllloooooo Mr. Pitt....rawwwwrrrrr). 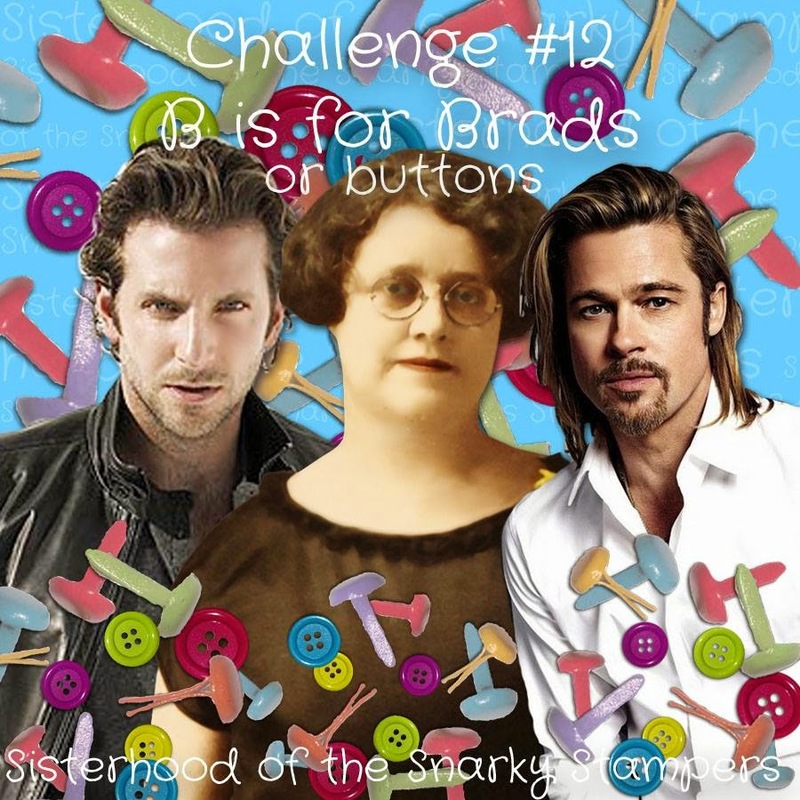 This week the Snarky Sisters want you to use Brads or Buttons (or both!!!) on your project. 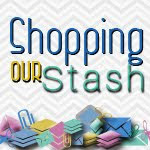 Visit the SOSS BLOG for all the details on the challenge and while you are there check out the blogs of my snarky sisters and show them some crafty love. 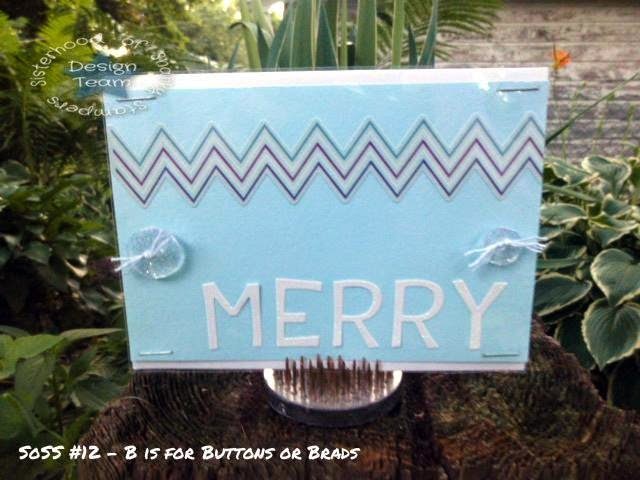 I have had soooooo much fun the last few weeks playing along with the SHOPPING OUR STASH and JINGLE BELLES Christmas in July challenge that I decided to dig into another old card kit and make some more Christmas cards! Taking a page from the book of SISTER LINDSEY I made not one but two cards!! I am still enjoying being able to take pictures of Christmas cards in my garden. tried to capture some of the "vintage" barnboard of my neighbours garage...lol if he ever tears that down I hope I inherit that wood! Kinda hard to see in the pictures, but there is a layer of acetate on each card (attached with staples) and I've used clear sparkly buttons on both cards. 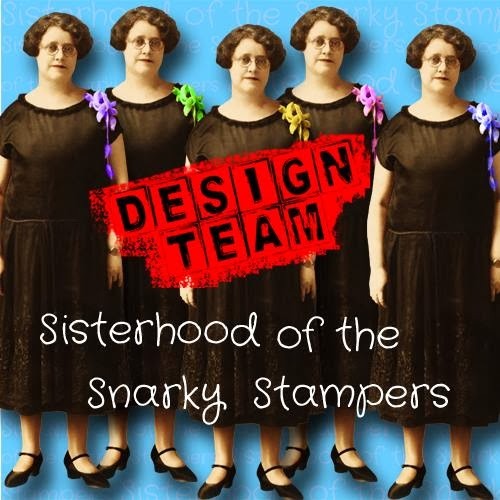 Want to play along with the Snarky Sisters?? 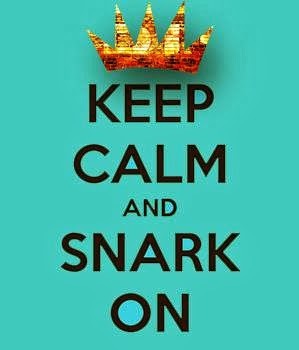 Course ya do...just upload your project to the SOSS BLOG by 11:55 pm (EDT) on Friday July25th and maybe YOU will be our next Queen or Princess of Snark! Great job, Maybe he will let ou have a coupe of boards to make a photo booth for your cards. :) I should make holiday cards soon..can't in October/November. I used both brads and buttons on my card and you call ME an overachiever? You made TWO cards!!! In my book, THAT'S overachieving!! LOL! And might I say that they both are fabulous! I love all the shine & sparkle! And once you get yourself into it, it's actually a lot of fun to work on Christmas stuff in the summer :) The other day I checked out my big shoebox of Xmas cards I've made since January & I think there might be nearly 50 in there! Score! 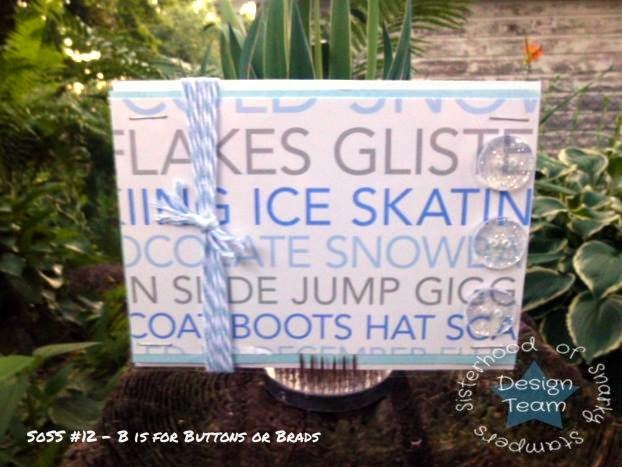 Love your cards, love the clear buttons you have used. Christmas cards. I feel behind. But I am too busy laughing about the fact that you want you neighbors wood! Love those clear sparkly buttons. Love the clear sparkly buttons. They are perfect for winter and Christmas cards. Great to see such cool cards! They make me feel better in this humid 94 degree weather!